Nelson is up and sitting on the bench. Still being looked at. #Packers WR Jordy Nelson still being looked at by medical personnel after taking shot near sideline. Purdue has 11 turnovers in the first 20 minutes. 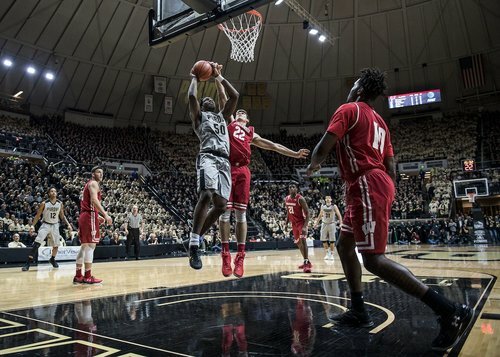 Boilers average 12.9 per game. Jordy Nelson headed into the locker room. #Badgers within striking distance because of Purdue turnovers (11) and because they have 18-8 in paint points. #Badgers shot just 35% and 0-for-6 from 3, yet trail by just 6. 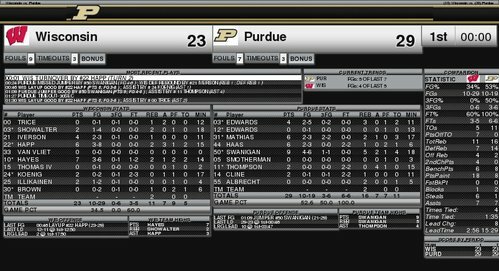 UW has forced 11 PU turnovers and is out-scoring Boilers 18-8 in the paint. Packers calling Nelson's injury is to his ribs. He's questionable to return. UW has 18 points in the paint and three FTs. Only points outside the paint came on a jumper by Hayes, who has 7 points to lead UW. #Packers say WR Jordy Nelson has rib injury. Return is questionable. They just treated Beckham like he was a gunner on special teams. Images from the first half. #Badgers have six steals. Happ has 4. Quick feet, long arms, timing. Ok @Packers ... should we jump start out offenses now? This performance by Rodgers is mind-bending. #Badgers first of the day. VINCENT EDWARDS FOR THREE ???? Back-to-back beautiful passes from Hayes for Happ bunnies. Wisconsin has 13 field goals. Ethan Happ has scored/assisted on 9 of them. #Badgers 4-for-4 shooting this half as Koenig splashes a floater. Happ has six points in the second half, 12 overall, and the #Badgers are within 38-34 with 15:23 left. Happ up to 12 points, 4 reb, 4 assists. #Badgers 5-for-5 this half. #Badgers this half are 5-5 shooting to pull within 38-34. Have ball OB when we come back with 15:23 left. UW is 5 of 5 from the field in the second half. Points in paint total up to 24. Ethan is getting it going! All those other throws ... and then he does that. Wow. PJ THOMPSON FOR THREEEEEE ??? ?